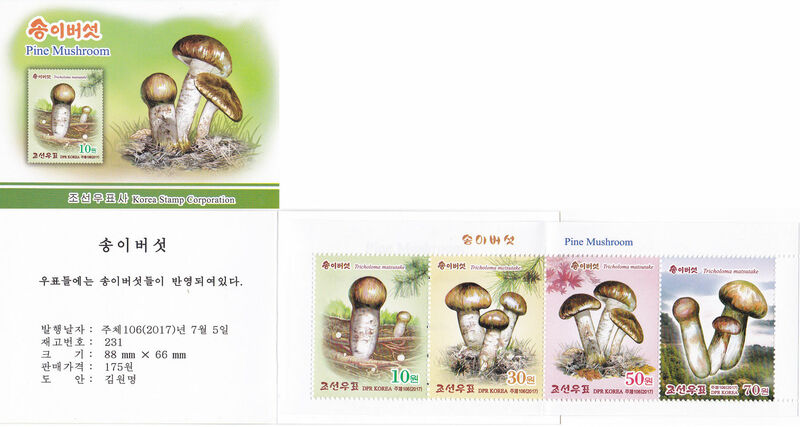 L9006, Korea Mushroom Stamp Booklet, 2017. MNH. Issued by Korea in 2017, with 4 pcs stamps. 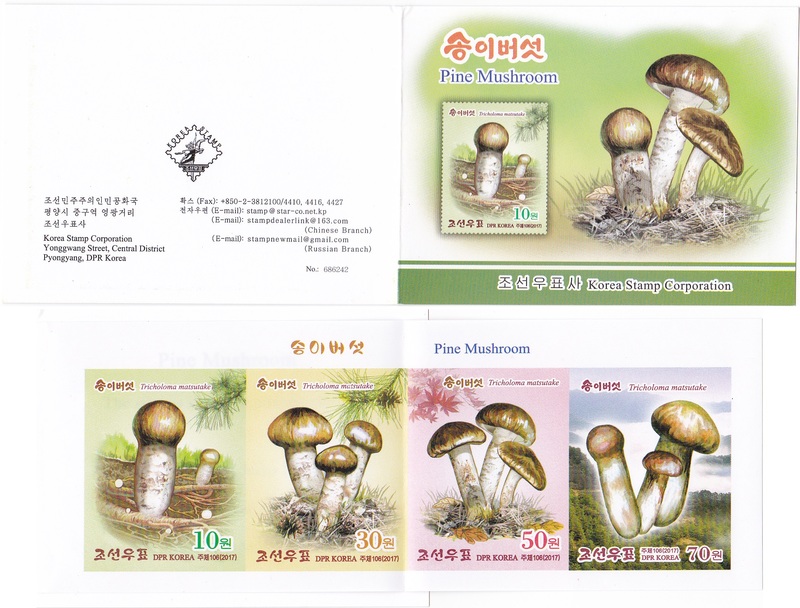 L9007, Korea Mushroom Stamp Booklet, 2017, Rare Imperforate. MNH. Issued by Korea in 2017, with 4 pcs stamps, Imperforate. 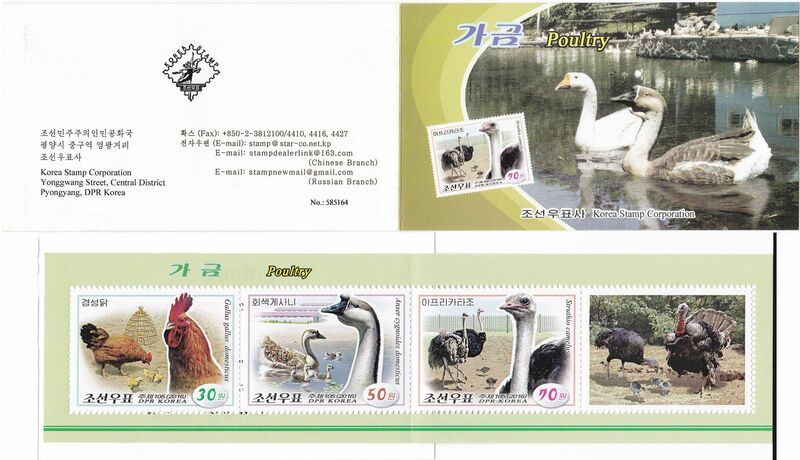 L9008, Korea Pyongyang Zoo Stamp Booklet, 2017. MNH. Issued by Korea in 2017, with 7 pcs stamps. 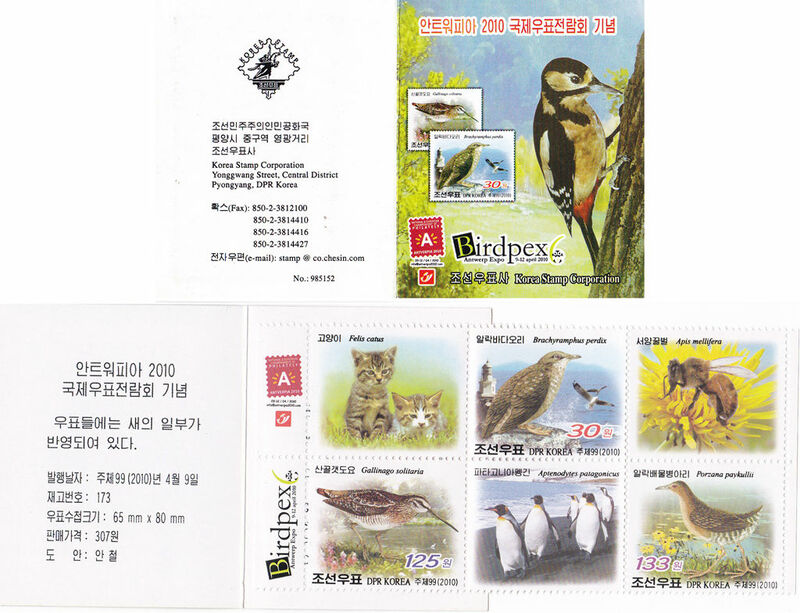 L9010, Korea Antwerp Expo 2010 Stamp Booklet, Bird, Birdpex. MNH. Issued by Korea in 2010, with 6 pcs stamps. 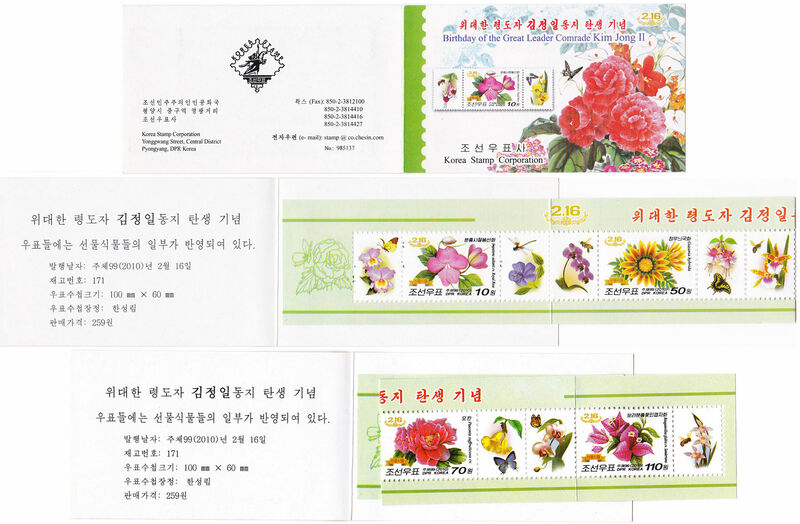 L9012, Korea Flower Stamp Booklet, Greater Leader Kim Jon Il, 2010. MNH. Issued by Korea in 2010, with 4 pcs stamps, for the birthday of the Greater Leader Kim Jon Il. 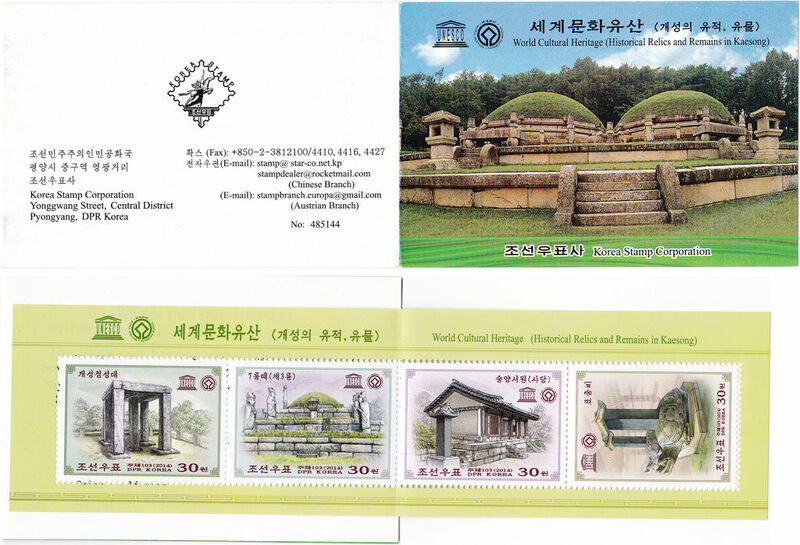 L9014, Korea World Heritage Stamp Booklet, 2014 Kaesong. MNH. Issued by Korea in 2014, with 4 pcs stamps. World cultural heritage (Historical Relics and Remains in Kaesong). L9016, Korea Medicinal Plant Stamp Booklet, 2016. MNH. Issued by Korea in 2016, with 4 pcs stamps. 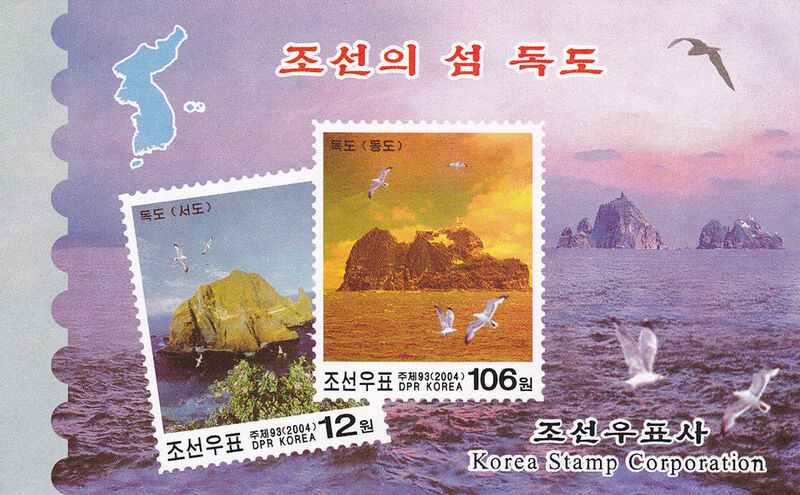 L9018, Korea Stamp Booklet, 2014 joint Issue of Korea and Russia. MNH. Issued by Korea in 2014, with 4 pcs stamps. 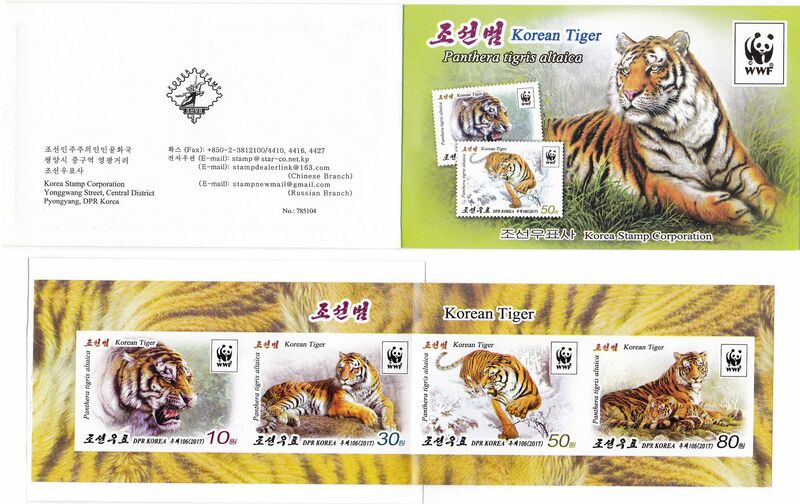 L9020, Korea Stamp Booklet, 2017 Korean Tiger. MNH. Issued by Korea in 2017, with 4 pcs stamps. 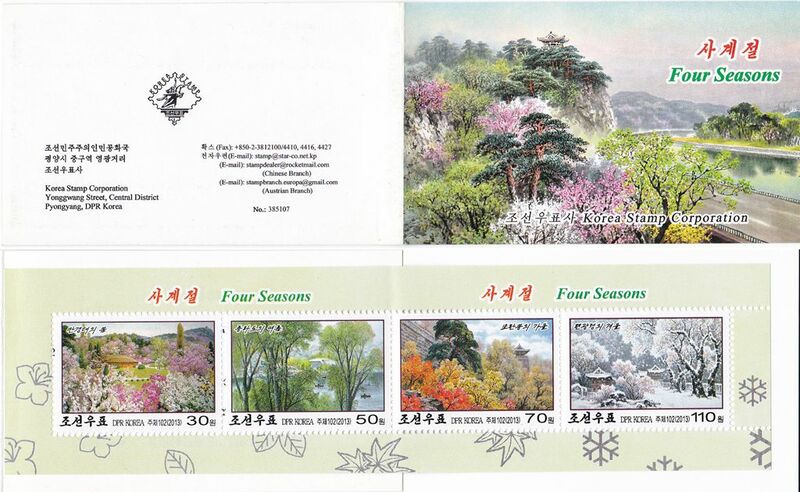 L9022, Korea Pyongyang Four Seasons Stamp Booklet, 2013. MNH. Issued by Korea in 2013, with 4 pcs stamps. 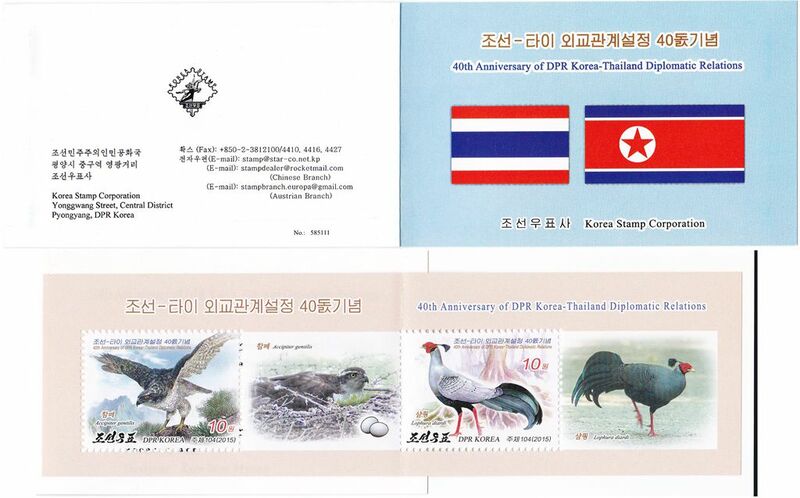 L9024, Korea-Thailand Diplomatic Relation Stamp Booklet, 2015. MNH. Issued by Korea in 2015, with 2 pcs stamps. 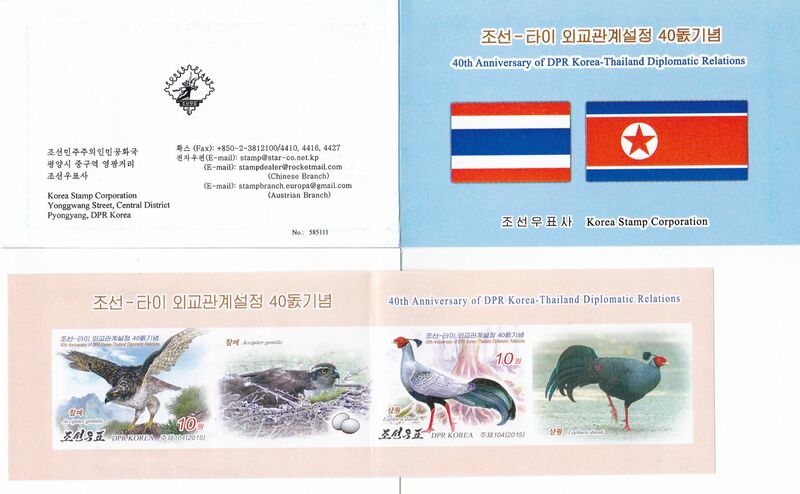 L9025, Korea-Thailand Diplomatic Relation Stamp Booklet, 2015 Imperforate. MNH. Issued by Korea in 2015, with 2 pcs stamps. 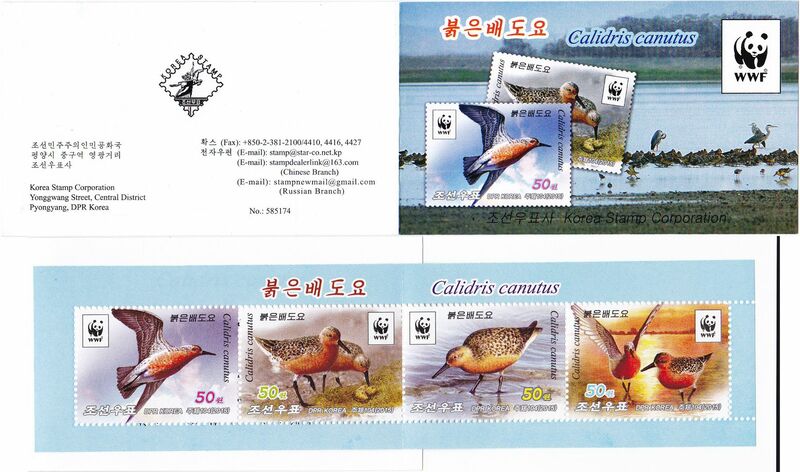 L9026, Korea WWF Bird (Calidris Canutus) Stamp Booklet, 2015. MNH. Issued by Korea in 2015, with 4 pcs stamps. L9028, Korea Poutry Stamp Booklet, 2016. MNH. Issued by Korea in 2016, with 4 pcs stamps. L9030, Korea Stamp Booklet, 2017 Korean Tiger, Rare Imperforate. MNH. Issued by Korea in 2017, with 4 pcs stamps. Imperforate. 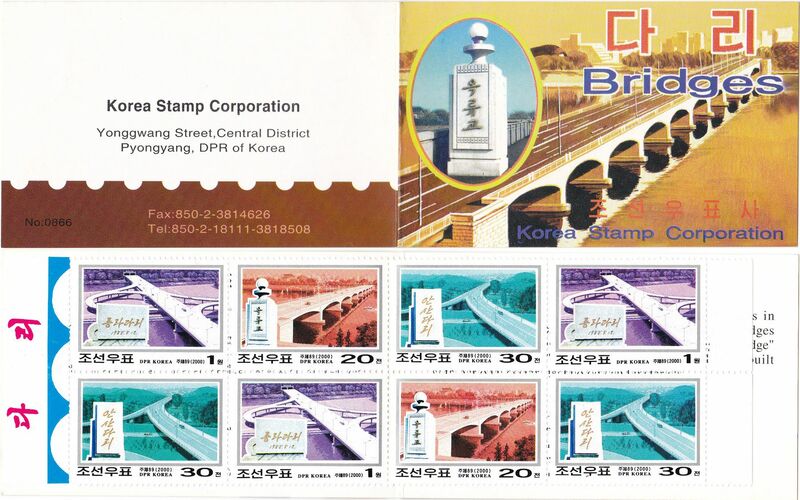 L9032, Korea Pyongyang Bridge, Stamp Booklet with 8 pcs, 2000. MNH. Issued by Korea in 2000, with 8 pcs stamps. 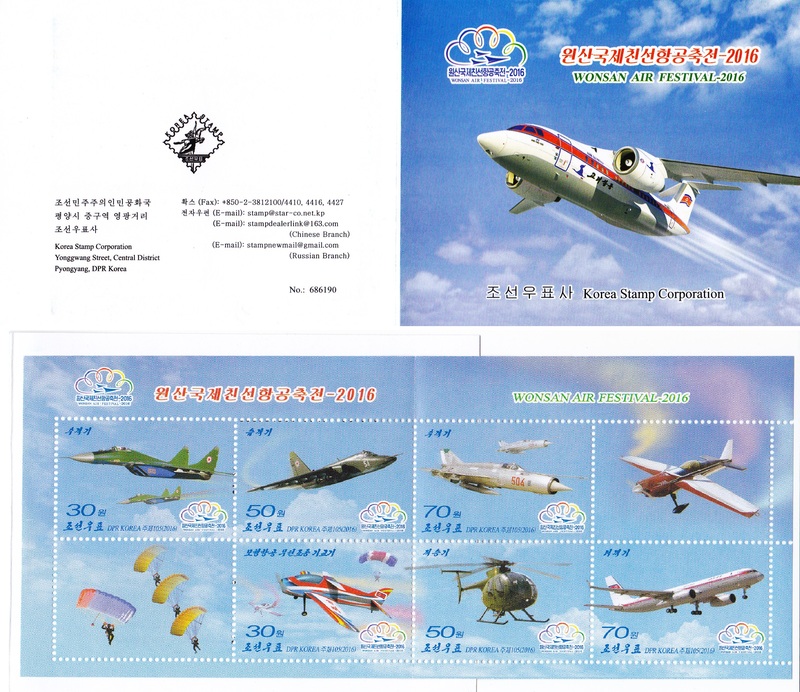 L9034, Korea Wonsan Air Festival Stamp Booklet, with Fight Jet, 2015. MNH. Issued by Korea in 2016, with 6 pcs stamps. 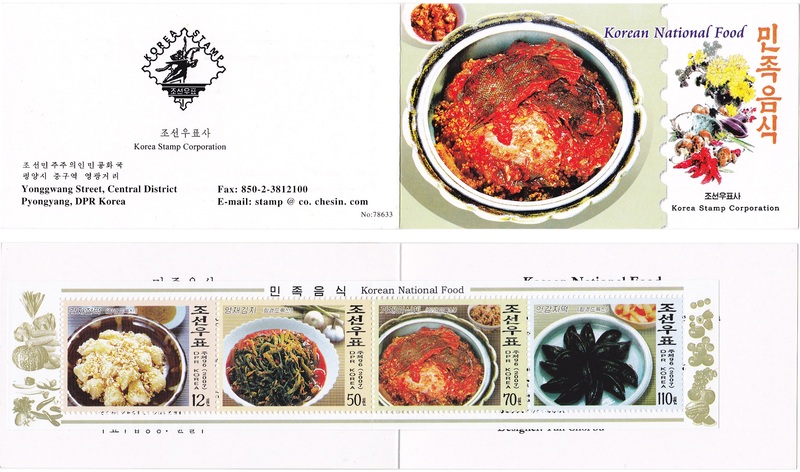 L9036, Korea National Food Stamp Booklet, with Diet, 2007. MNH. Issued by Korea in 2007, with 4 pcs stamps. 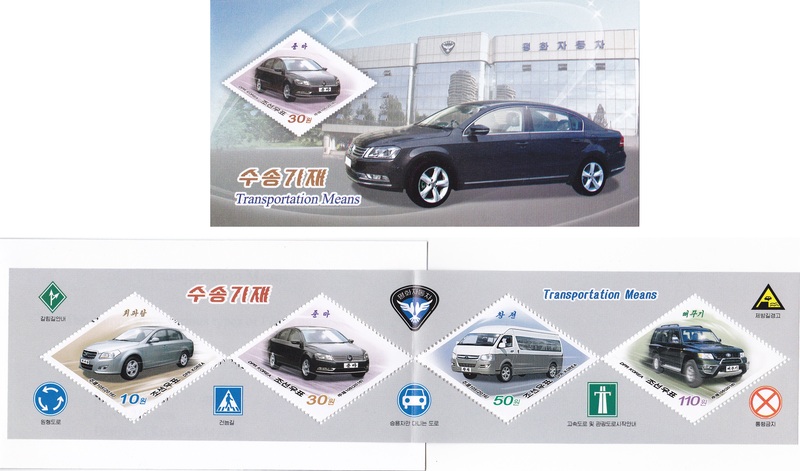 L9038, Korea Car Stamp Booklet, Transportation Means, 2016. MNH. Issued by Korea in 2016, with 4 pcs stamps.